I am not a teacher of children. That is, I am a playworker. We maybe have to identify with something and, recently, though I’ve known it for years, I sat on my ever-weakening knees, at four year-old height, surrounded by glue and glitter and feathers, and four year-olds, and this whole ‘playworkerness of being’ fell over me again. You’ll get it if you get that, as it were. I am not a teacher of children, though I dabble in the peripheral waters in aspects of my professional and personal lives: I’m engaged in consultations with children at school, in the classroom and in the playground, and I fall into history session constructions, compliant to a five year-old’s comprehension, at home (where I have to try hard not to muddy stuff with made up things!). What has struck me recently is, in the analogy, the gloopiness of the water when the Venn diagram of ‘teacher’ and ‘playworker’ slosh up against one another and overlap. First things first though: playwork is not teaching. Playwork is working in service of children’s play opportunity. Sometimes, children at play around attendant playworkers might ask them how to do something or other. The playworker then has a choice to make: say or do something akin to ‘you work it out’, or show them how to do it. The latter is fraught with all sorts of adulterating, brain-forming by-pass complexities. Maybe it’s not so black and white after all. Maybe there’s a continuum at play. I’ve been fairly consistent over the years in saying that playworking isn’t something we should be diluting, or polluting, or shifting, by adding ‘teaching’ to it (though I do recognise that play can have a benefit of ‘working things out’ — I won’t write ‘learning’ here, as such, because that muddies the waters further). As can be seen, the sloshing waters of the respective Venn diagram circles of ‘teaching’ and ‘playworking’ can be pushed too dangerously together. So, for clarity, playwork is not teaching: let’s start from this platform. Recently I’ve been involved in further children’s consultations in a local school. We’re investigating the use of their playground and that includes how the adults at school refer it and its play in their thinking and in their actions. In the classroom, this playworker-not-teacher can only be himself: children talk over me; some are quite happy to discuss things with their neighbours or stare out the window; some are intensely engaged in the areas for consultation; some probably don’t care. Sometimes, I find this all tolerable: I never was one for requiring children to listen to me, in stony silence, hands up, fingers on lips, if ever they wanted to interrupt my line of words. However, it is, admittedly, a tricky task to consult with thirty children of differing levels of engagement, understanding, attention span and so on, in a time limited way. I get why some teachers can become quite ragged! At the end of one session, in which I said that I’m keen to investigate adults’ attitudes to play in school, one hand shot up and a voice from the depths of the classroom said, ‘What’s your attitude?’ It was an excellent question! What’s my attitude to play? I thought about it all week. On a good day (because we don’t always have those, do we? ), I considered that I could see behaviours of all sorts as play, though I realised that by Friday I get frazzled too and the child who bangs piano keys five feet away from me, constantly, whilst I’m trying to sort food for twenty-five others, is somewhat testing! As I write, now, discordant piano play by feet, fingers, and bumps by the backside is, of course, all play. Play happens around the play-literate, or play-appreciative, or ‘good day’ playworker, I suppose. Play also happens around the periphery of the ‘play-illiterate’, or the ‘bad day’ anyone, but I’m thinking that there’s a different sort of qualitative engagement by the children: the adult is either merely tolerated in the space, or is ignored, or is blatantly or slyly teased. There are teachers who have good days and bad days, just as there are the rest of us who have the same, and I wonder how the ‘good day’ and ‘bad day’ teacher is differently treated in school by the children. I am aware that professional teaching isn’t, or shouldn’t be, about merely inputting information into the nascent, forming brain of the child; it is, or should be, about inspiring a desire to learn, to investigate and to explore. This is where the playworker/teacher gloopy overlapping Venn diagram waters slosh in again though: I believe that children will, and do, get so much more from a playful teacher, in the same way that they can ‘see’ the playworkerness of the playworker in any place that that playworker is. At home, I watch the intensely concentrating face of Dino-Viking Boy as we go over the timeline of Romans to Saxons to Normans again, drawing it, playing it. He soaks it all up and thinks for a little while before saying: ‘The Normans? Who are the Normans? Did they beat the Romans?’ It’ll come. My playworkerness and my dabbling in teaching are as muddled here as the late Saxon-Viking period of history itself! 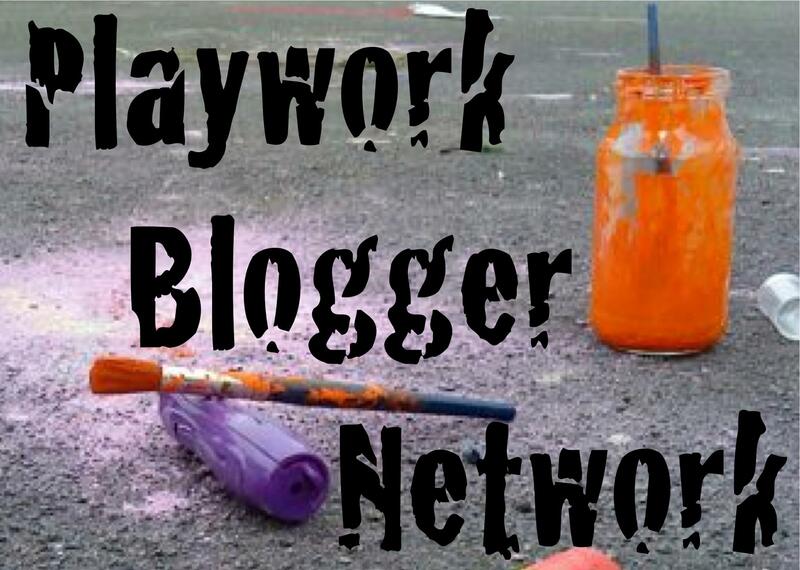 Playwork is not teaching, and I am a playworker. I’m also just me and I have my playworkerness, on a good day. Dino-Viking Boy punches me in the side of the head because we end up playfighting. I never was much good at fighting. Plain-song. Mus. [Rendering med. L. cantus planus, F. plain chant, It. canto piano.] A simple melody or theme. Playworking is replete with stories, which are songs, of simple wonder. We can allow ourselves to become over-burdened with all the anythings that circle around and through our time in amongst the children’s play; we can forget to see and listen to the songs that play themselves out around us. These are not literal songs I’m writing of, necessarily: these are songs that vibrate a little differently. The moments of songs unfolding, recently, have been beautiful . . .
At last, we all said, a warm and sunny day. We were out on the wedge of grass beyond the playground. Children ran around and parents watched. Children hoarded things at the edges, in the bushes, and we saw this. A couple of maybe four year olds sat in the shade of the branches. They were alone on the clean, new tarpaulin, which we’d secured against the ever-present flap of the breeze with six small concrete blocks at its edges. A makeshift wind-break, made of a pegged-down sheet, slung over skipping ropes, tied between the trees, stopped the paper blowing away. Sat on the grass, nearby and behind them, I watched these two younger children: a boy and a girl. They had found the jam-jar of glue. They had found the glitter. They had found the small treasure of the mosaic tiles. I watched for quite some time as the children focused on the soupy glue they were mixing up, sat in their own world on the clean, new tarp with its makeshift wind-break. A little later, a parent came to show them how to spread the glue ‘properly’, so that things could stick to other things, like paper. One of the younger girls communicates without so many words. One day, when I was laying hula hoops out in an arcing line — red, blue, yellow, green, red, green, blue, or similar, repeated, repeated — on the wedge of grass beyond the playground, the girl who communicates without so many words jumped into a hoop and smiled. I jumped out of my hoop and into the one laying next to it. The girl jumped into her next hoop and waited and smiled . . .
Later, after some antagonisms had almost played themselves out between her and her brother, I sat on the concrete table at the edge of the grass with my feet on the concrete chair. The girl who communicates without so many words, still fizzy from the fresh pesterings and provocations of her brother, climbed up onto the concrete table with me. She leant back against my arm and was still. One boy was in the hall spinning a giant red beanbag around and around. I interrupted his play, though I shouldn’t have done, though he seemed to forgive the intrusion. He took it as a cue, of sorts, and a delicate play fight happened. When the boy who was spinning play fights, he hardly touches. When he fights, he’s a flurry of hand and wrist spins and other little actions. Outside on the playground, later, our play fight started up again, somehow. It must have blown in on the breeze. A thin flurry of willow-stick arms barely brushed against one another. When he glanced me on the edge of a bone, he walked away, looking back, smiling. We were at school, on the playground, and footballs and basketballs and children were flying around. The noise echoed off the brick and concrete. One of the older children came by. She often says, ‘You never hear what I say properly’, or words like this. I wonder if I’m going slowly deaf. ‘It’s noisy here,’ I told her. I’m not going slowly deaf. She nodded. We talked about what would happen if an adult were to suffer an accident there, what with all the flying around. ‘I would so get in trouble,’ she said. She said that wouldn’t happen with us, at our playground. Later, an adult, my colleague, got hit in the back of the head by a ball. It was fine, though for a moment the child concerned looked more than a little concerned. Within a minute, all the girls were standing around, screwing their eyelids shut, concentrating hard and trying to feel their whole eyeballs underneath. I still had dust in my eye.